Have you moved Internet Service Providers (ISPs) recently? 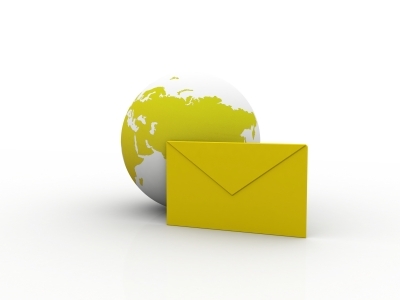 Do you recall the hassle of changing your Email address and getting your correspondents to use your new email address? I suspect many people do not change ISPs purely due to this hassle and the risk of losing important messages during the transition. In the last ten years I have moved countries (twice) and changed ISPs more than I want to remember, but never once did I change my email address. You see, I use Gmail and never publish the Email address I am given by my ISP – and frankly I do not even know or care what it is. Even better, as I have my own domain (gartonhill.com) – people do not even know I am using Gmail. Gmail is portable and independent from your ISP. Once you have set up a Gmail account you will never need to change your email address again – no matter where you live or which ISP you choose. Gmail is extremely reliable. Google’s size and infrastructure means they can provide better availability of the email service than even the largest national ISPs. There’s no guarantee that this reliability will continue but from personal experience only (no outage that I can recall) I am very pleased. Compare that to the recent performance of one of our biggest ISPs in Australia. Google allow you to store over 7 Gigabytes of emails on their servers. Thats a huge amount of data and essentially means there is no need to ever download emails to your PC. With this generous and reliable storage, creating backups of your emails becomes a thing of the past. You can even import old archives of emails onto Gmail for safekeeping. There are multiple ways to access your emails. Firstly via the standard Gmail web interface which of course you can use from any browser connected to the internet. If you insist on using an mail client (eg Outlook, Thunderbird etc) , you can as Gmail supports both the POP and IMAP protocols. Using POP will download your emails from the server whereas IMAP will not. Since you are likely to access your Emails from multiple locations over multiple devices, it is far better to use IMAP and leave your Emails on Google’s servers. For simplicity, I have stopped using clients and just use the web interface or my phone. With Gmail your emails are immediately accessible from all portable wireless devices – and of course it is natively supported on Google’s own Android based phones. Gmail’s SPAM protection is supreme. 99% of the crap doesn’t get through at all and the remaining doubtful stuff gets put into a SPAM folder for review at your leisure. If on the rare occasion you do get SPAM you can mark it as such and Gmail learns on the fly. So no need to pay for special services such as Message Labs or any PC based SPAM filtering software or rules. Search in Gmail via the web interface works wonderfully well – and so it should – its Google! So well in fact that the days of filing emails in folders for later retrieval becomes a thing of the past. You can just leave it all in your inbox because typing in a name or part of a subject in the search box will actually retrieve all emails (received or sent) that match your criteria. Try doing that in Outlook! Microsoft have been trying to get search to work in Outlook for years and still they can’t get it right. Gmail’s advanced search feature is superb – you can search by any criteria – time received, sent, sender, subject, AND/OR etc. If you are like me and prefer to keep your inbox clean, you can “archive” read emails which merely removes them from your inbox and importantly does not exclude them from future searches. If you want to organise your emails you can by applying “labels” to them. Unlike Outlook folders, in Gmail, one Email can be filed under multiple labels. However with search that works, I find labeling emails a little superfluous. Google have just added a new desktop notification feature. So if you are using Chrome, you will get a little popup near your desktop system tray advising of new emails – very similar to Outlook’s email notification. To ease the transition, you can configure your Gmail account to regularly check up to 5 other Email accounts. Emails sent to your old addresses will appear in your Gmail inbox. So you don’t necessarily have to stop using your old email address abrubtly and can transition your correspondents over to your new Gmail address gradually over time. At the other extreme, you can forward your Gmail emails to any other address if you ever decide to move away to a different service in the future. Some may note that storing all your electronic correspondence on one service provider is a risk and they would be technically correct. However this risk must be compared with other options – who would you rather trust? Google whose reputation is on the line with the security and reliability of its Gmail or your local ISP? Is it more risky to store your Emails on your PC (that may be stolen or crash and needs to be backed up securely) or in the cloud on Google’s servers? For family groups and small businesses, you can even get the free Google Apps Standard where you can maintain your own domain name and have your emails directed to Gmail’s system. You get to have a <name>@<yourdomain.com.au> address that you can keep forever and still benefit from all the advantages of Gmail that I have listed above. The “standard” version is free. Alternatively, Google Apps for Business will cost US$50/person/year but guarantees a 99.9% service level and access to all the other Google Apps such as word processing, spreadsheets, file storage and presentations. Sign up to Gmail here.